Xenia Pestova performs Fuga Interna (begin). More details here. 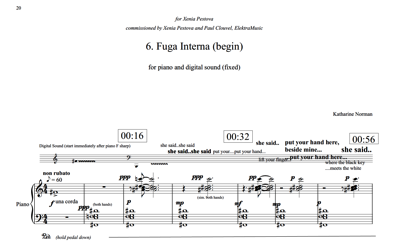 Fuga Interna (begin), commissioned by Xenia Pestova, is for piano and digital soundscape. The soundscape is text-based and concerns learning the piano, memory and age.